Oz may look like the quintessential California surfer boy, but Dylan "Oz" Oswin is a high-powered LA producer with a no holds barred attitude and a grim determination to do whatever it takes to get his son back. 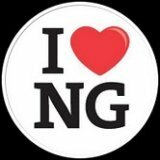 Even if that means throwing good sense to the wind and following the breadcrumbs of cryptic text messages sent to him by a mysterious third party as they lead him straight to a former child singing sensation. One who had a huge, destructive, and very public melt down years ago, then completely dropped off the map and hasn't been heard from since. It's been a year since Donal was taken by the nanny Oz had hired to care for the toddler. He didn't even know if his son still lived. All he knew is that he would turn over every rock on the planet, bully anyone and everyone who could possibly help find him if he has to, do whatever it took, follow weird text messages from a possible lunatic who calls himself the Librarian, but he would find his child. Even if he had to exploit a young recluse to do it. Phillipa James writes children's books and keeps herself far removed from the public eye. Her life now is as distant from her years as the singing sensation Syrene as she could possibly make it. She is too dangerous to be allowed in public. There is too much risk. She's already killed one person and witnessed the devastating affects her Voice has on the masses. When she sings, it's a siren's call that can't be denied. Even speaking can cause people to do things they wouldn't normally do. She must stay far away from everyone. Even at the risk of a young boy's life and the sanity of his devastatingly handsome but overbearing father. Except Oz refuses to take no for an answer and strikes back with information no one but her should know, information that hints at a conspiracy far larger than the kidnapping of a child and more nefarious than even her Voice. Information that seems to connect the kidnapping and her unusual talent, leads to the truth about her origins, and draws Pippa and Oz together in inexplicable ways. Ways Pippa worries will devastate her she has to give them up. 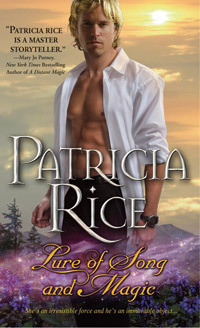 When I started Lure of Song and Magic, I had no idea it was a spin-off of a magical historical romance series, one that brought the families featured in it, Malcolm and Ives, into contemporary times. I like the idea. Even though I haven't read the Magic series, there's something comforting in knowing the characters in Lure of Song and Magic are the descendants of those who found their HEAs in their own books. I guess that accounts for the sense I had in several places in the book that I was reading well-established mythos and story history. It's been around for awhile. The paranormal elements were more subtle influences in the plot than I'm used to. Beyond the fact that Pippa/Syrene is a young woman with special abilities and those abilities have direct effect on the life she's living and the person she's become, they don't really factor into the plotline of the book until later in the story. I was surprised at how much I enjoyed that. It may have slowed down the pace of the story a bit for me at first, as I was anticipating seeing what she could really do, but I enjoyed the thorough introduction to Oz and Pippa as characters and the slow, steady evolution of their relationship - contentious at first, but entertaining for it, before it warmed with the romance plot threads. I thought the arc of the plot and the layers built into it were superbly crafted. There was a nice balance between the romance and the external conflicts. Not having experience with the Magic series, some of the threads may have been more of a surprise (pleasantly so) than others familiar with Rice's previous work, and the story left me with questions that the previously initiated may not have, but I like pleasant surprises and I don't mind unanswered questions...so long as they get answered eventually...so it's all good. My favorite part of the book is something that I find surprisingly rare in romance. Two characters who are truly made for each other. And not just because of the obvious reason, either. Lets face it, Oz wasn't always a nice guy. He was self-absorbed, single-minded, obstinate, and he had entitlement issues. It was his way or the highway all the way. Pippa had her own issues. She was neurotic, a little flaky, had an over-inflated guilt complex, and was as skittish as a three-day-old colt. There were times when she a little mean, too. Just a touch. Thing is, Oz could bully her all day long and Pippa just ignores it, and Pippa can flake out all she wants, and Oz just rolls right over it. Neither of them were at all bothered by the worst traits in the other. More than that, they needed those traits to achieve their own balance. They fit together perfectly. I can't express how lovely and rare that is, and how much I enjoyed experiencing it as it developed. The only issue I had with the book, and really, in the grand scheme, it's minor, is that the inevitable crisis point in the relationship between Oz and Pippa seemed a bit abrupt - both as it happened and as it was resolved. After such a slow, steady buildup of all the many threads of character and story as the book progressed, it was pretty jolting to me. Despite that, I thought this was a truly great read. I do hope it's a series, though, or will become one, because if not, there were way too many unanswered questions and unresolved issues. I want more so badly that I'm treating it like it is, even though I couldn't find anything to indicate that was the case in the several places I checked to find out. Fingers crossed.